The world No.3 speaks about working with her father on the tour following her first win of 2019. Australian Open champion Caroline Wozniacki says respect is the key to her strong bond with father and coach Piotr on the tour following her opening win at the ASB Classic. Wozniacki, who is the top seed in Auckland this week, dropped just five games during her 6-3, 6-2, win over Germany’s Laura Siegemund. Despite the seemingly straightforward score, the Danish player is eager to seek improvement ahead of her next match. Against Siegemund, Wozniacki won 66% of her service points and converted five out of nine break point opportunities. “It wasn’t the prettiest match I’ve played, I was just trying to get back into the rhythm,” Wozniacki said in her press conference. “She doesn’t give you much rhythm so I tried all of the time. This week the 28-year-old is bidding to win the Auckland title for the first time in her career after settling for runner-up on two previous occasions. In the next round she will play Canadian qualifier Bianca Andreescu, who is currently ranked 152nd in the world. Andreescu defeated Hungary’s Timea Babos in the first round. Guiding Wozniacki on the tour is her father Piotr. Compared to the 1980s and 1990s, a parent coaching their child on the tour has become more rare. However, Wozniacki makes no secret of how much of an important role her father has played in the development of her career. “My dad is awesome. He’s a great support and he is always there. He’s a great support and just a great guy all around. A lot has happened in our family over the past year and he’s just a great rock.” She said. Ask to elaborate further about what make their coaching relationships work, Wozniacki placed it all down to respect. 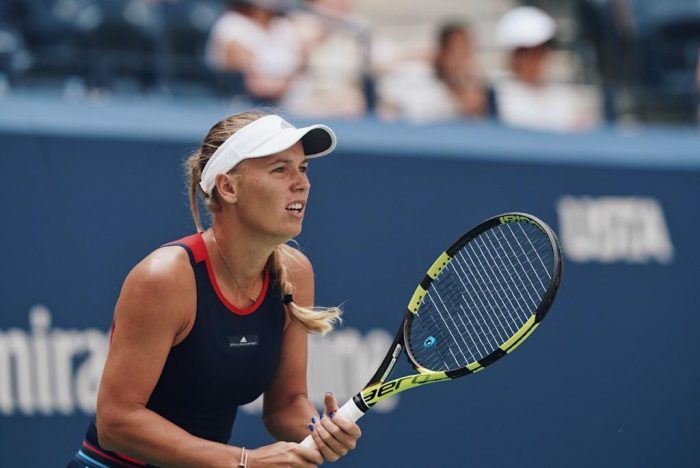 Wozniacki will play her second round match against Andreescu on Thursday. Elsewhere at the tournament, Eugenie Bouchard booked her place in the quarter-finals after coming through a marathon match. The former Wimbledon finalist outlasted Dutch qualifier Bibiane Schoofs 6-7(5), 5-4, 6-4, during what was a roller-coaster match. Hsieh Su-wei also reached the quarter-finals after dismissing Monica Puig in straight sets. The former world No.3 has called for more to be done in the sport to help protect the environment. 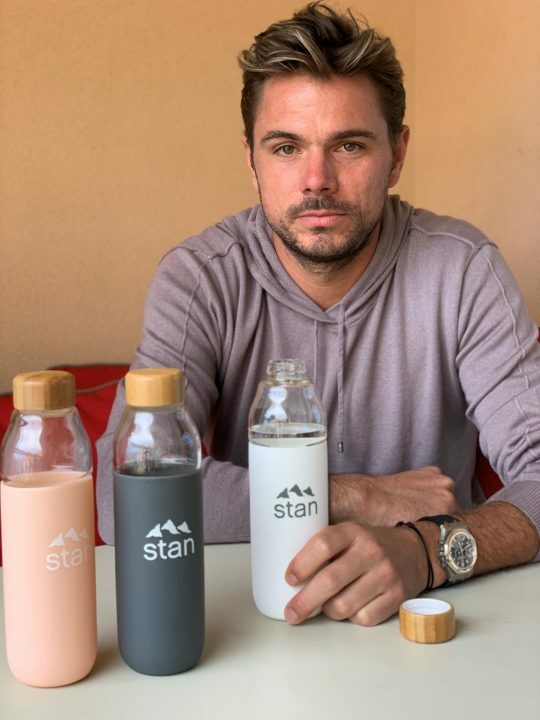 Three-time grand slam champion Stan Wawrinka is hoping that he can inspire other players to follow his example after pledging to bring his own bottle to matches on the tour to reduce the use of plastic. 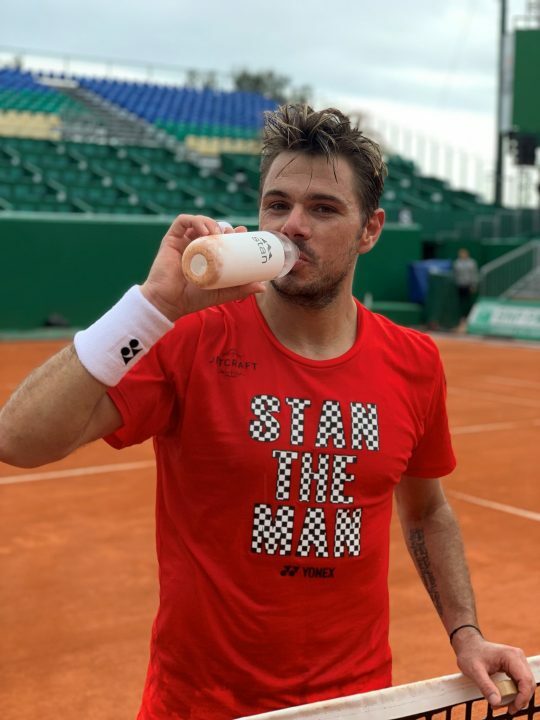 Starting at this week’s Monte Carlo Masters, the Swiss No.2 has started using personalised Evian Soma glass refillable bottles. The initiative came about after Wawrinka spoke with his sponsor about wanting to become more sustainable on the court. Due to the length of tennis matches, thousands of plastic water bottles are consumed during tournaments. At Wimbledon, it is estimated that 250,000 bottles are sold each year. “I’m extremely happy to start using my evian® Soma® glass refillable bottles. 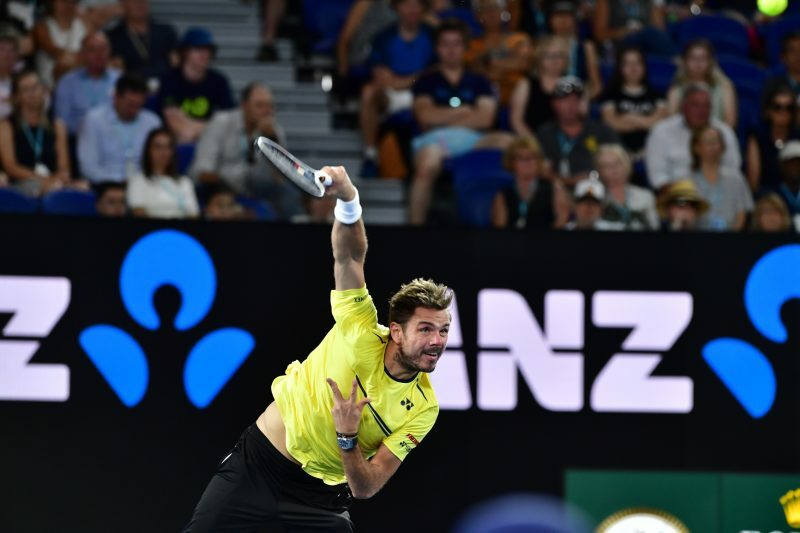 Sustainability is very important to me and I am convinced that each one of us can make a difference every day.” Wawrinka said in a press release. In recent months the world of tennis has moved to become more sustainable. In November at the season-ending ATP Finals, officials pledged to reduce the environmental impact caused by the eight-day event. Implementing initiatives such as water fountains around the venue and reusable bottles. The campaign was one praised by Wawrinka, who hopes it can be implemented throughout the tour. “I spoke to my fellow players and the ATP leadership in order to reduce the use of plastic bottles at ATP events. All players received refillable bottles and it was a great initiative which we want to bring to more and more tournaments,” he said. The 34-year-old isn’t the only player calling for more to be done to make tennis go green. Kevin Anderson, who is the vice-president of the ATP players’ council, has spoken on numerous occasions about doing more for the environment. The South African said he was inspired to do so after watching a documentary on Netflix. “We are in a fortunate position where we might be able to affect some positive change, no matter how small it might be. Protecting the environment and reducing plastic waste on the Tour is something that I am very passionate about, along with many of my peers.” Anderson stated in 2018. At this week’s Monte Carlo Masters, Wawrinka experienced a mixed performance. After defeating Lucas Pouille in his opening match, he was knocked out in the second round by Marco Cecchinato after boasting a one-set lead. His next tournament is set to be the Madrid Masters in May. The two-time grand slam champion has another achievement to add to her expanding resume. World No.1 Naomi Osaka has become the only tennis player to be included in this year’s edition of Time’s Magazine’s most influential people. The Time 100 is an annual list published by the American news magazine. It recognises and celebrates the ‘pioneers, leaders, titans, artists and icons of 2019.’ For each person nominated to be on the list, they have an extract written about them by a fellow celebrity. In Osaka’s case, 18-time grand slam champion Chris Evert paid tribute to the Japanese player. Osaka’s place in the Time 100 is in a section called ‘pioneers.’ Other entrants include actress Sandra Oh, who is the first Asian woman to win two Golden Globes, and Italian restaurateur Massimo Bottura. The only tennis player in this year’s @TIME 100 Influential People is…@Naomi_Osaka_! The past 18 months have seen the 21-year-old race up the world rankings to become a heavyweight in the world of women’s tennis. After claiming her maiden major title at the US Open, she went on to claim another grand slam at the Australian Open. Something that was last achieved by Serena Williams between 2014-2015. In January, Osaka became the first Asian player – man or women – to top the rankings and remains in that position at present. Osaka’s surge in popularity has been highlighted by an array of endorsements. Earlier this month, she scored a high-profile deal with Nike. Reportedly skipping other offers from companies such as Uniqlo, according to Japanese media. She also has other deals with Nissan, All Nippon Airways and Proctor & Gamble. 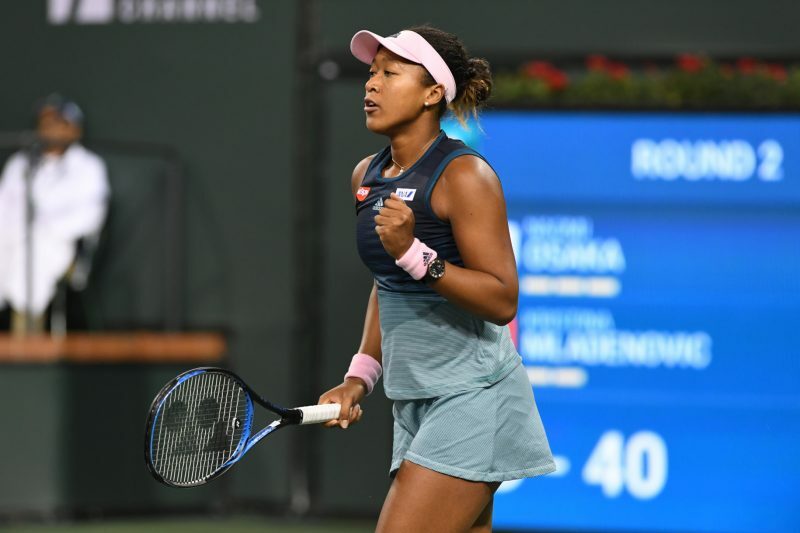 Osaka is set to return to action at the Porsche Grand Prix in Germany later this month. The talking point wasn’t what Pierre-Hugues Herbert did during his first round match at the Monte Carlo Masters, it was what he did afterwards. Moments after scoring a 6-4, 6-4, win over Spain’s Fernando Verdasco, he grabbed a pen and proceeded to write on a camera lens. His message read ‘Notre Dame’ with a drawing of a broken heart below. Herbert’s words echoed those of many coming to terms with a serious fire that caused extensive damage to one of France’s most renowned landmarks. The Notre-Dame cathedral was built over the course of 200 years with work starting back in 1163. 714 years before the first ever Wimbledon Championships took place in 1877. An estimated 13 million people visit the building every year, which was undergoing renovation at the time of the fire. One of its artefacts includes the Crown of Thorns, which some believe was worn by Jesus Christ. “It took me a little while to learn that the fire was on, and the images were so shocking with this fire crumbling down. When you see this image of Paris on fire, it was really impressive, shocking.” Herbert commented. 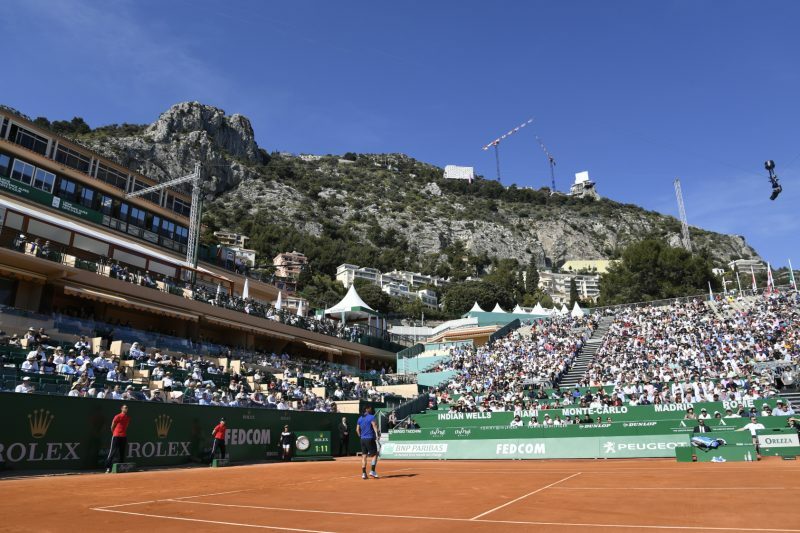 In light of what the French president described as a natural tragedy, the mood at the Monte Carlo Masters was somewhat different to that of before. Tennis was not the only main talking point at the tournament. Despite its name, the event isn’t actually held in Monte Carlo. Its home is in Roquebrune-Cap-Martin in the extreme South East of France. “It is something that is really sad for the French people, but also for everybody, for the whole world, actually, because this was a monument that was well known all over the world.” Jo-Wilfried Tsonga said after retiring injured from his first round match. Gilles Simon, who is one of only two Frenchman left in the tournament alongside Herbert, also spoke about the fire. “Like everybody else, I was really sad. That’s it. And of course I saw the images, and it’s a real pity.” He said. Officials are still assessing the extent of the damage caused by the fire. In the meantime, donors around the world have pledged millions to help with the restoration of the building and national governments have lent their support.